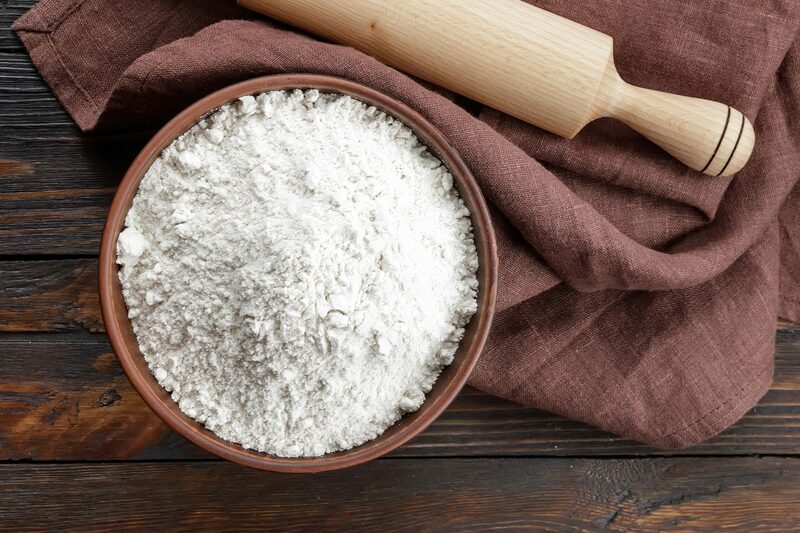 Have you ever experimented with alternative flours in the kitchen? We recently added a nice variety to the Green Bean store, but you might be thinking—how do I use them? Can they simply replace all-purpose flour? How do I substitute them into a recipe? Let’s dig into the different types and how they are best used! Tapioca flour (also called tapioca starch) is made from the tuber of the cassava plant. It is gluten free, grain free, and nut free, making it a wonderful alternative for specialty diets like a gluten-free diet, paleo, or an autoimmune protocol diet. It is often used as a thickener for sauces and gravies to replace cornstarch—simply substitute 2 tablespoons tapioca flour for every tablespoon of cornstarch in the recipe. Whisk together cold water and tapioca flour to make a slurry, then mix it into your hot liquid at the end of the cooking time. It is also often used for baking in combination with other alternative flours. It is great for acting as a binder and providing a chewy texture in gluten-free baking. I also like to use it when making a gluten-free breading to coat chicken tenders or other foods that are to be deep fried. It helps to add crispness to the fried food and does the same when used in pizza and pie crusts. 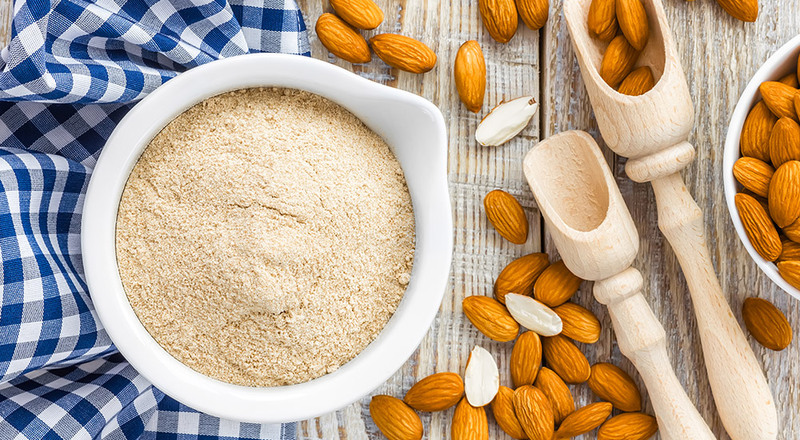 Almond flour (also called almond meal) is made by grinding blanched sweet almonds into a powder form. It is protein-rich, gluten free, and grain free. Because of the high oil content in the almond flour, it is best stored in the refrigerator or freezer to protect the oils from going rancid. 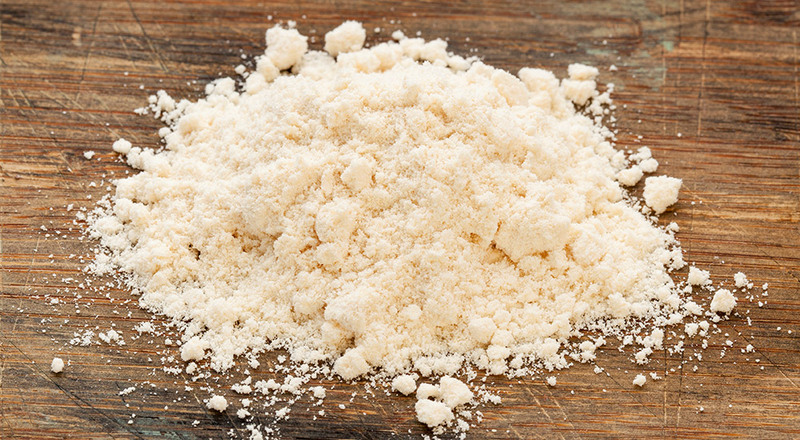 Almond flour is very popular when it comes to gluten-free and paleo diet baking. It provides a tender, airy, cake-like texture, and a sweet, nutty flavor. I love incorporating it into mixes for pancakes, muffins, and breakfast breads. It is better mixed with other alternative flours/starches than used on its own. This is because it isn’t a good binder, so the baked products often end up too delicate and crumbly. Arrowroot is a starch obtained from the rhizomes of a South American perennial herb. It is most commonly used as a gluten-free thickener, just like tapioca flour. Arrowroot’s easy digestibility and anti-inflammatory properties make it a great choice for gluten-free, paleo, or autoimmune protocol diets. I use arrowroot the same way I use tapioca flour—to replace cornstarch or wheat flour as a thickening agent for sauces and gravies. To thicken hot liquids, make a slurry just like you would with tapioca flour. It also works well in pie fillings and fruit sauces, or incorporated with other alternative flours in baking. Coconut flour is made from ground and dried coconut meat. It is gluten free, grain free, and nut free. It is high in fiber which helps to stabilize blood sugar, and it’s extremely absorbent when used in baking. Often you will find recipes that use ¼ cup of coconut flour or less because a little absorbs a lot of liquid. It does impart a mild coconut flavor (unlike the flavorless tapioca flour and arrowroot) which is why it isn’t my favorite to use when thickening sauces and gravies. 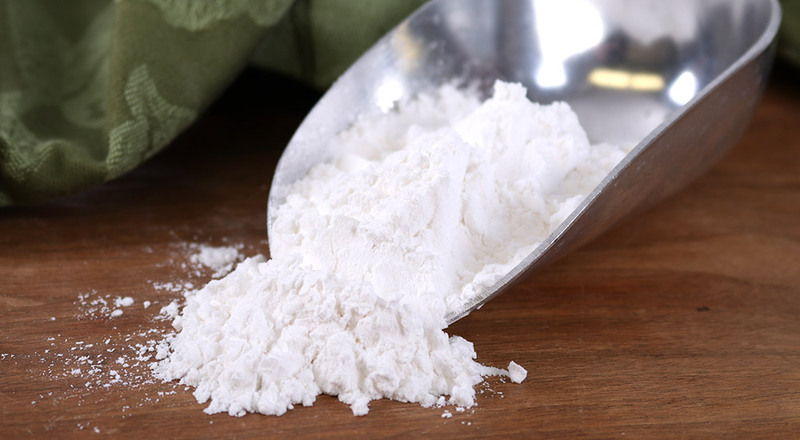 I love to combine coconut flour with almond flour in my baking recipes. The two flours together help to create a texture that is light and fluffy, but has structure and isn’t too crumbly. 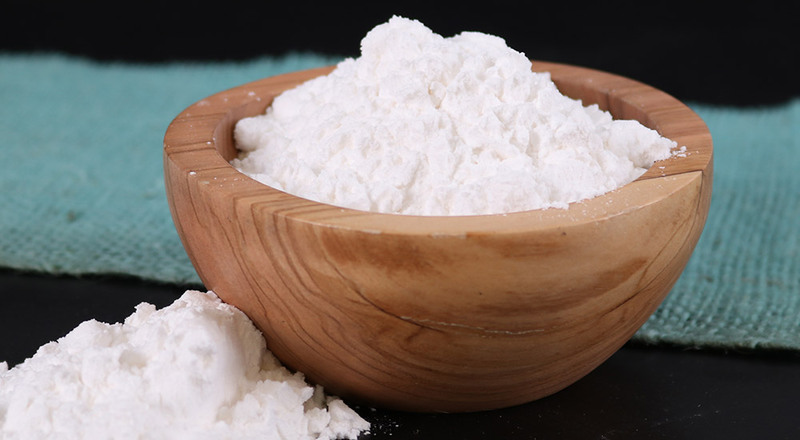 Here is a simple recipe for Gluten Free All-Purpose Flour. I use it one-for-one in recipes that call for all-purpose flour. Use the measurements in parentheses to yield 2 cups of gluten free all-purpose flour.